Winter is almost is here in the Maple City, and the air is getting chillier every day. Perhaps a cup of coffee sounds good? If you happen to be on the campus of Goshen College, you’re in luck. 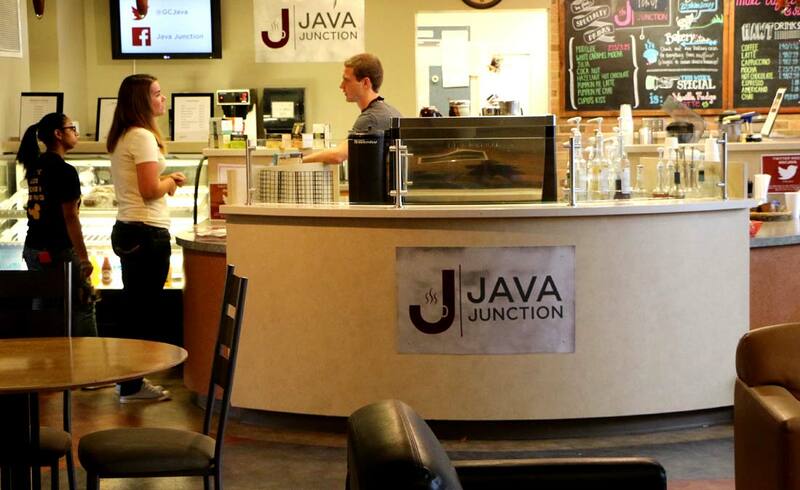 GC is home to Java Junction, a coffee shop located in “The Connector” between Kratz and Miller residence halls. 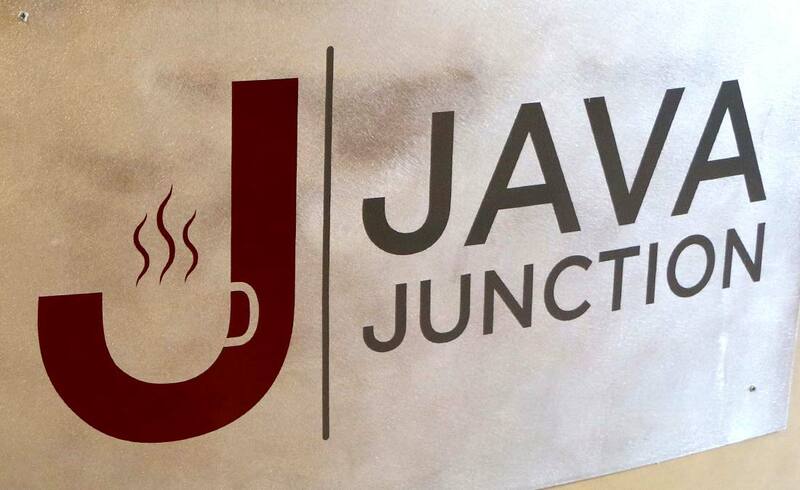 Though designed primarily for students, Java Junction is open to the public. 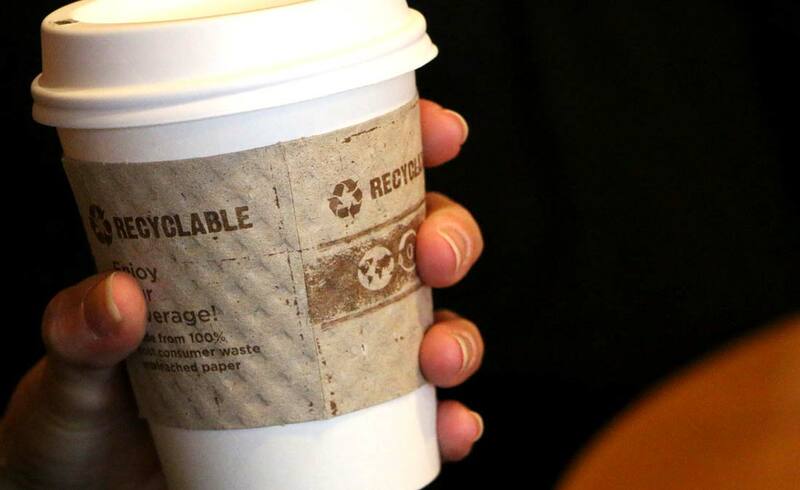 In addition to hot and cold drinks – coffee, espresso, chai, hot chocolate and specialty drinks are among the many selections – the shop also offers bakery goods. 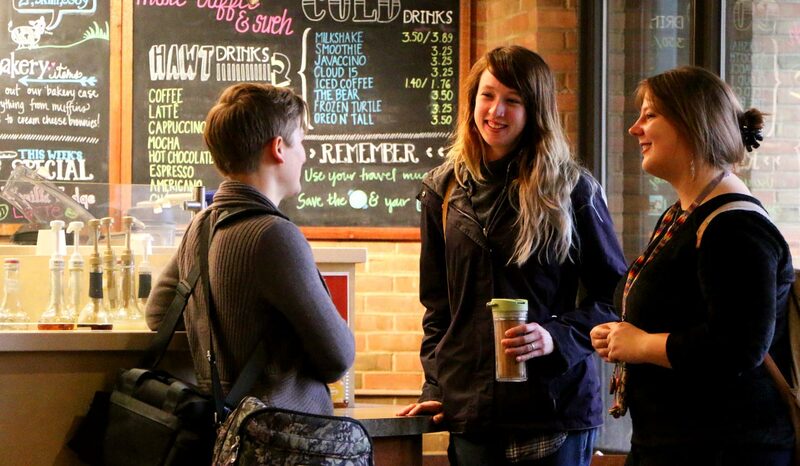 Perhaps most important, Java Junction provides a way for Goshen College students to gain valuable experience running a business. Construction began on The Connector in 2003. A structure linking the two residence halls, The Connector was conceived as a program space for poetry readings, concerts, parties, and other campus activities. It was also designed to include a coffee shop. GC’s Student Life department was key to designing and building The Connector space, but didn’t want to run a coffee shop. 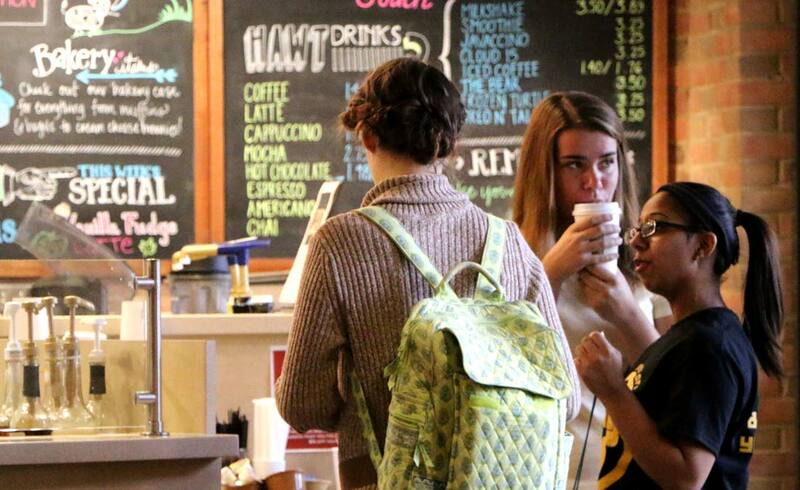 Student Life approached the business department to see if there was interest in a coffee shop that would also serve as a way to enhance the business curriculum. “We decided it sounded like a good opportunity,” Horning said. Thus, Java Junction was born. The Java Junction team includes about six or seven student managers every semester. Horning said that more than 100 students have been Java Junction managers over the course of the shop’s 12-year history, adding that probably five or so have been non-business students. 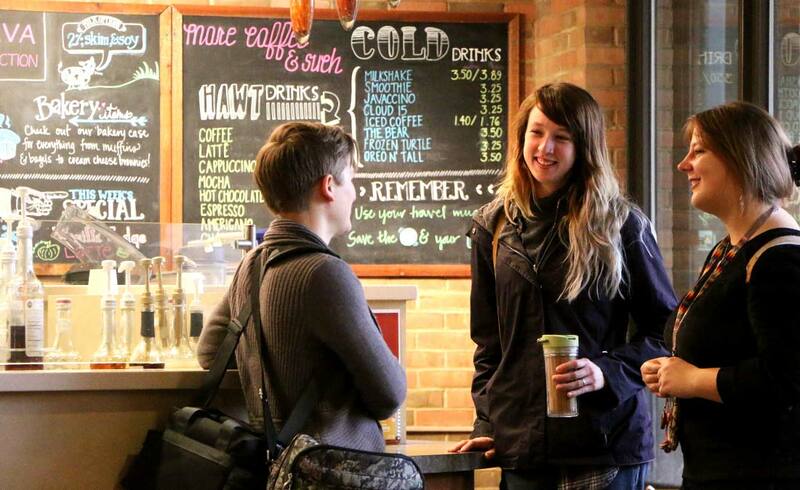 The baristas are other Goshen College students, and Java Junction currently has nine student employees. Bryan Palmer, a senior American Sign Language major from Elmwood Park, Ill., is in his fourth year of involvement with Java Junction. 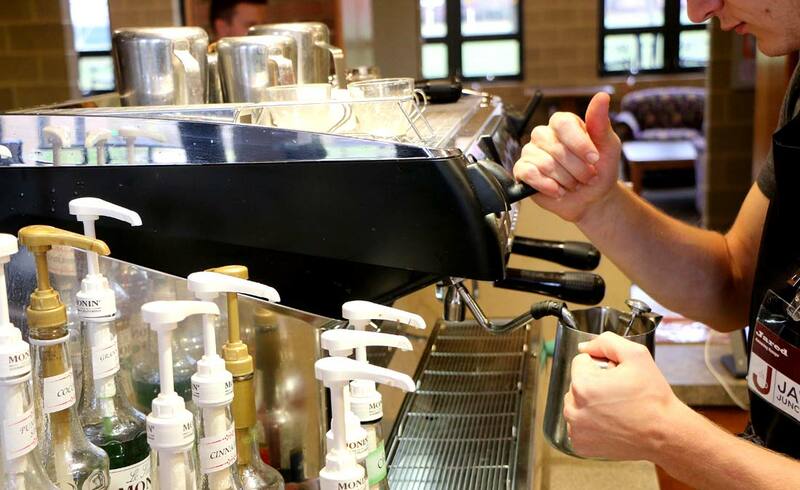 He was a barista before joining the management team, and is now in his second semester as general manager. 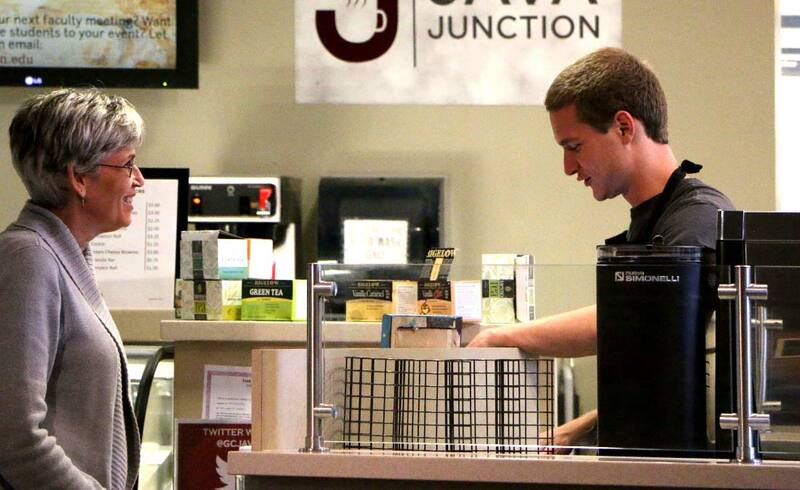 Brian Sutter, a senior physics and informatics double major from South Bend, another student manager, says Java Junction offers a venue for tackling real-world challenges not found in a classroom setting. 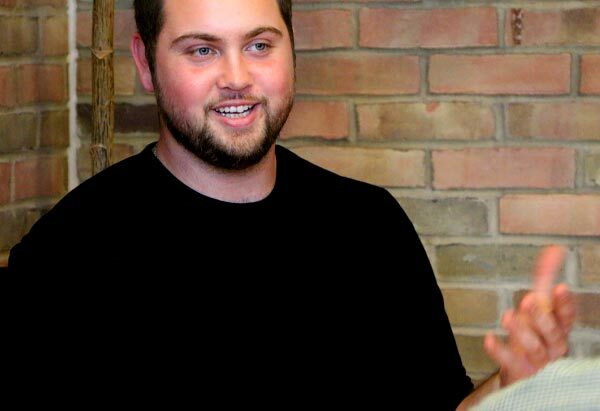 “The fact that we can experience those real-world problems now is really a huge advantage of this Java Junction program,” he said. Sutter spends much time working with sales data. He views it as a skill he can hone now and use during the rest of his career. However, he’s also been impressed with how much he’s learned about all aspects of the business. “I’m impressed every single day with how much I learn in a variety of different areas whenever I do Java-related things,” Sutter said. According to student manager Malaina Weldy, a senior business major from Goshen, Java provides an opportunity to step into a leadership role. Student managers are expected to become familiar with all aspects of running a regular business. As such, managers are required to work behind the counter at least once a week. 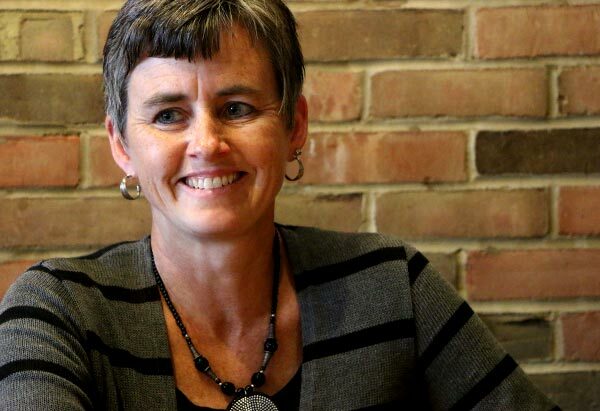 “Probably one of the things that students should learn is, you can’t just run a business without knowing about the business,” Horning said, adding that learning about Java Junction requires that students learn about coffee, retail, client interactions, and food service. 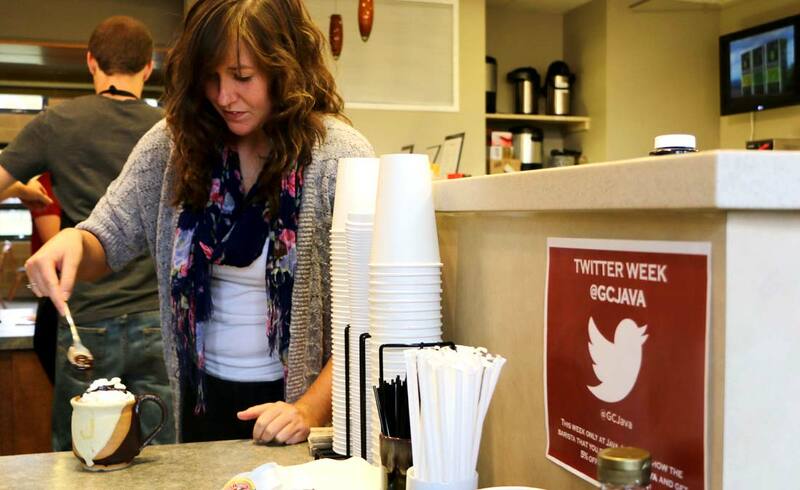 How the student managers run Java Junction isn’t a trade secret. Simply put, they have to share. “The students make all the decisions: accounting, marketing, purchasing, hiring, training, technology, business analysis – everything,” said Horning. 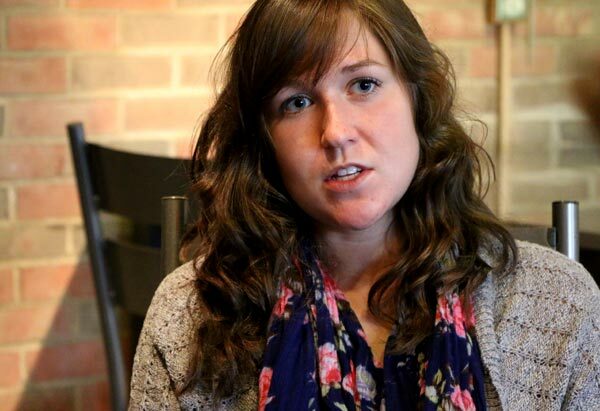 “It’s as real an opportunity to run a business as you can get in college,” said Palmer. “One of the most valuable things Java gives us is the chance to work as leaders and managers,” said Weldy. 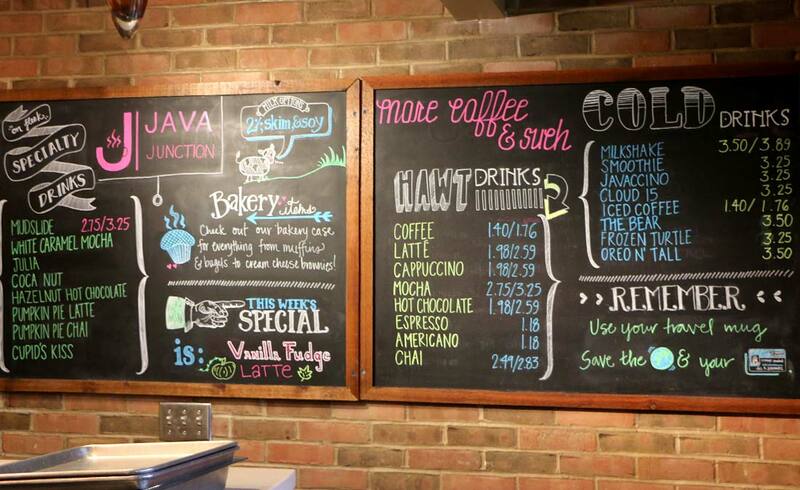 The variety of treats available at Goshen College’s Java Junction has expanded over the shop’s 12-year history. 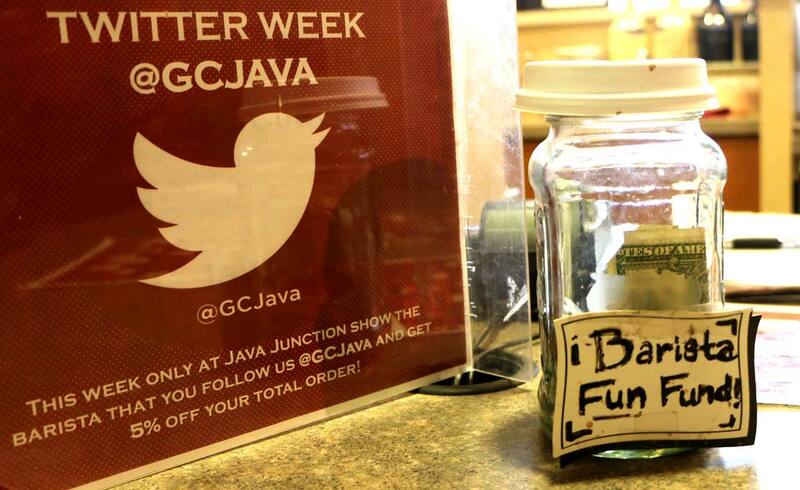 When Java Junction started, there were only 11 drinks offered. 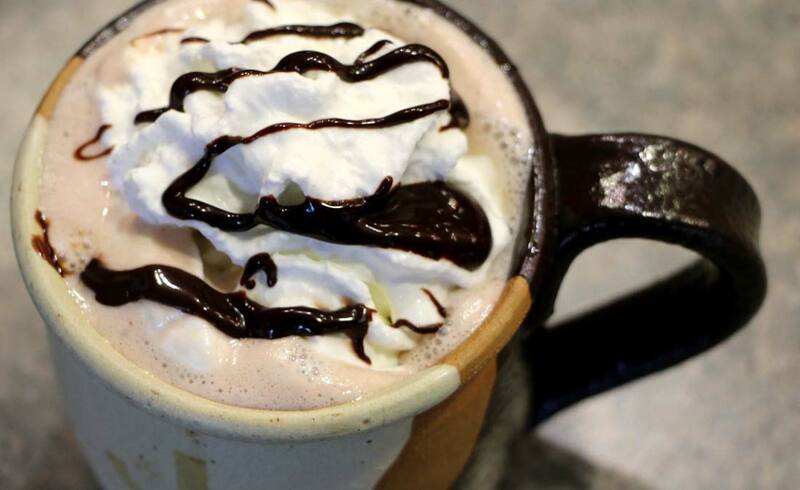 Now, there are more than 60 different drinks, along with food items including bagels, muffins, cream cheese brownies, cinnamon rolls and cookies. There’s also the ever-popular milkshake. 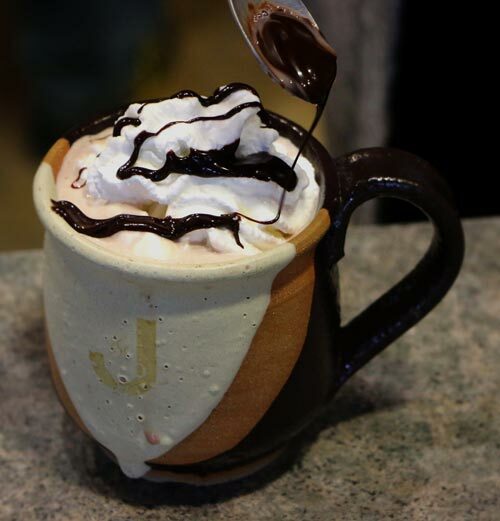 Java Junction general manager Bryan Palmer said the shop began offering a milkshake last semester. Initially, it was only served one night a week. Due to customer demand, however, the shake is now offered all the time.